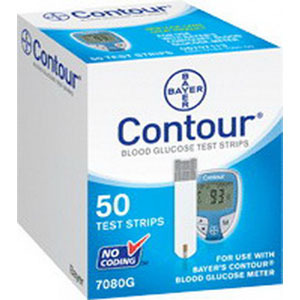 Bayer Contour Microfill Blood Glucose Test Strips are for use with Bayer Contour Blood Glucose Monitoring System. These strips make testing blood sugar levels fast, easy and accurate. Unique flip-top bottle design that opens and closes easily and perfect for users of all ages. Flip-top bottle opens, closes and handles easily. The strips are kept fresh up to six months after opening due to a patented bottle design with built in desiccant. Meter automatically turns on when test strip is inserted and does not require coding. Easy viewing of sample fills ensures accurate results.